It's been two months since my last long-term update. 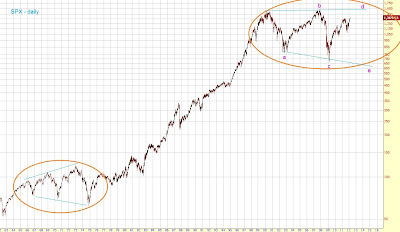 Back in early January I mentioned that as long as the SPX stays above 1200 you should be bullish. 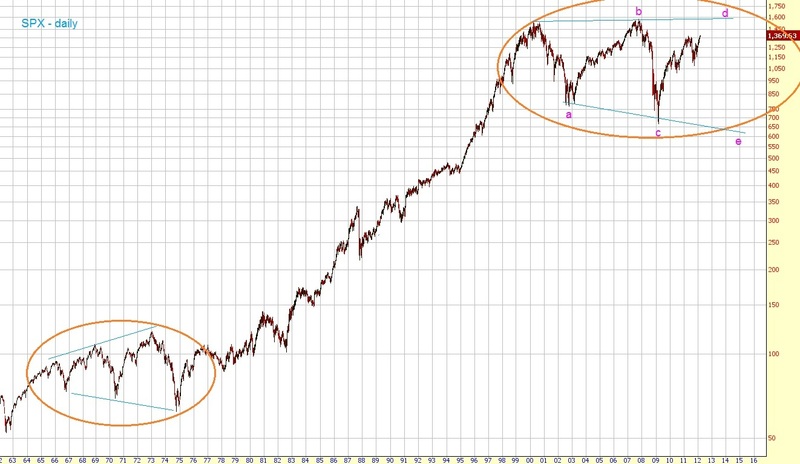 I also mentioned that if the bullish count is underway that we should see a quick rally to new bull market highs during the first quarter. And that's what actually happened. 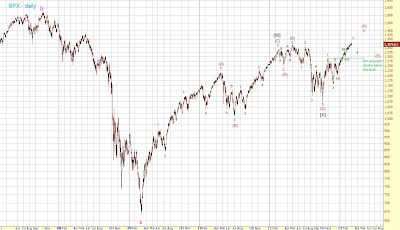 The bullish count looks very good - ever since 1310 has been broken. Blue wave 3 should finish anytime soon. Wave 4 should then unfold and isn't allowed to decline to below 1290. 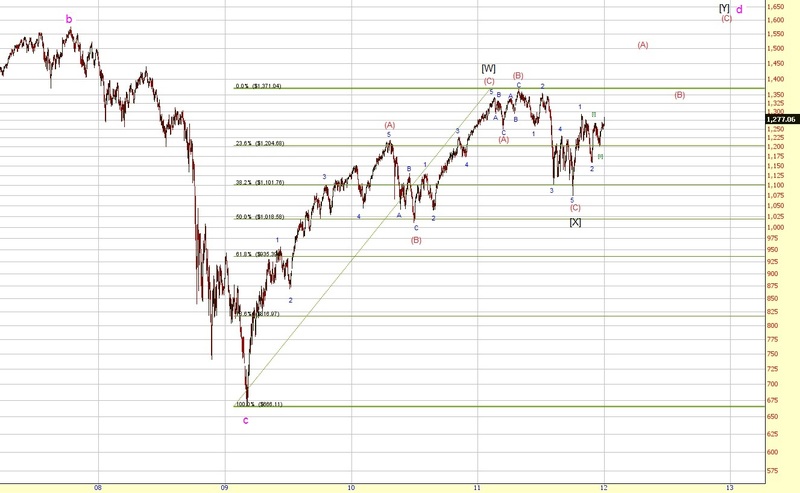 Wave 5 should then follow later this year to complete red wave (A) somewhere in the 14xx area. I still think that eventually we'll see a new low below 666. However, please don't raise a credit and go short once we hit 1600. There are endless options to count such long-term charts, so these counts should solely be for entertainment purposes and not to base your trades on. To sum up, I think the rally will continue. We could see a few corrections during the next months as you can see it in the first chart. 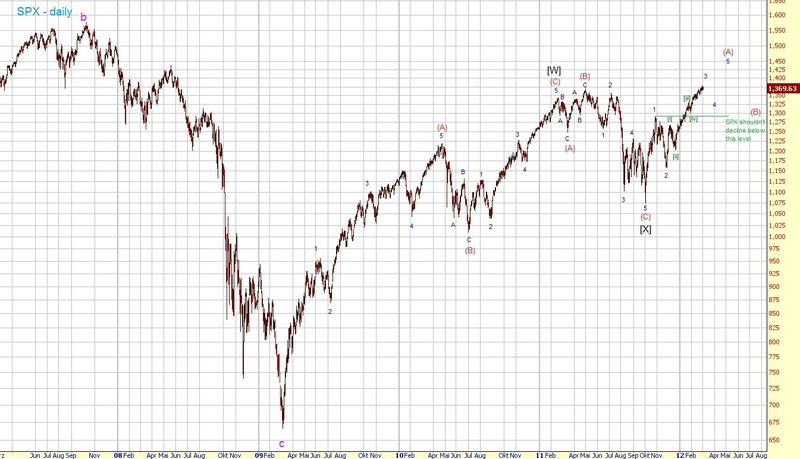 As long as the next correction doesn't decline below 1290 the bullish count is valid.